Home Dog Food What Dog Food Is Good for Dogs and Why? What Dog Food Is Good for Dogs and Why? What dog food is good for dogs and why? Every pet owner has asked this question at one time or another. Your concerns regarding what dog food is good for your dog and why are valid. After all, choosing the right food is one of the most important things that we can do for our pets. Past scandals have lead to a lack of confidence in the health standards of dog food. Back in 2007, the food recall from Chinese-sourced food was the first blow to the dog food industry. Morgan and Morgan filed a lawsuit against Purina in 2015 over questionable ingredients found in their Beneful dog food. The lawsuit conspired on the many complaints that dogs’ kidneys were failing. Want to know the most alarming part? The product is still on the shelves, and 70% of pet owners surveyed don’t know what ingredients are in their dogs’ food. They also don’t know what ingredients caused kidney failure in the dogs that ate Beneful. Here’s the thing, the regulations on dog food are minimal. So, the “premium” and “all natural” claims don’t hold much weight. Store bought foods are made with feed grade, coming in a dry form, also known as a kibble and a wet, canned form. For you to make the right dog food choice, you would first need to know the percentage of protein, fat, moisture, fiber and nutrients that they require. The combination must be correct. If they’re not, even the healthiest ingredients can cause physical and mental health issues to your dog. The AAFCO sets standards for animal feeds and pet food in the United States. The umbrella they monitor is vast and dog food falls into the category of animal feeds. The FDA is responsible for monitoring the quality of dog food. The FDA regulates dog food the way they do for other animal foods. They ensure that dog food is safe to eat, produced under sanitary conditions, is legitimately labeled and contains no harmful substance. The Federal Trade Commission oversees fair trade. When it comes to dog food, the FTC is there to ensure that companies are telling the truth when they advertise. The FTC only wants to know that the dog food manufacturer isn’t making false claims. Evidence needs to be provided in order to ensure no false promises are being made. The FTC doesn’t require dog food companies to tell you about their failures. They are only required to show you success. If a company states that there is a dog food that cured irritable bowel syndrome, it may mean that just one dog was proven to be cured. That's not very reliable for us pet owners that are trying to figure out what dog food is good! The nutritional facts panel printed on dog food sold in the United States and Canada is also known as includes a guaranteed analysis section. It makes it easy to compare the four essential nutrients in dog food. The truth is, human grade and guaranteed analysis doesn’t mean your giving your dog the best food option. When you see the term, “Human Grade” in pet food, it means the product is suitable and approved as nourishment for humans and is edible. You might be wondering if that’s enough to give you peace of mind that the dog food is healthy for your dog. While a dog food may be “made with human grade ingredients,” it doesn't necessarily mean that the ingredients were fit for human consumption when they were added to the food. For example, protein sources (like beef and chicken) can be classified as human grade. If these products expire before being eaten by humans, they can still be used in dog food. The ingredients are technically human grade products, but they aren't fit for human consumption anymore. See how tricky dog food companies can be? According to the AAFCO, for any dog food to include the claim “complete and balanced” on their packaging, it must be validated in two ways. Looking at the nutritional adequacy statements, like the above, lets you know what the dietary standards are. This takes a lot of guessing out of what product you buy. The statements aren’t in any particular spot on the packaging, so you may have a hard time finding them. Make sure that you do locate them, because if there is no nutritional adequacy statement, the dog food is not deemed complete, balanced or appropriate for your dog’s stage of life. When learning what dog food is good, this is a quick way to find your answer. Feeding your dog deficient food can cost him his life or, at the very least, discomfort. RELATED: Understanding Dog Food – Do You Know What’s in There? Part of choosing the right dog food is to consider what stage of life your pet is in. AAFCO requires that within Nutritional Adequacy Statements, there is information on what life stage the product suits best. Adult maintenance dog food is suitable for adult dogs that are not being bred. A dog food that claims it’s acceptable for all stages of life meets a very stringent growth and reproduction profile. Products labeled for senior dogs or puppies are not under clear governing law. Be aware that many of the special purpose dog foods often have limitations. If a product states that it is intended for supplemental feeding, it should not be used for a long-term diet. These products have not met the adult maintenance or growth and reproduction standards. When you ask what dog food is good, you need to understand that safe ingredients aren't always healthy ingredients. Ingredients may seem safe and have likely been labeled as such. That doesn’t make them a healthy choice for an optimum diet. Proteins – one of the most essential nutrients for dogs. Protein promotes strong muscles and repairs body tissue. Dogs are only capable of creating half of amino acids needed to stay healthy. The other half comes from protein intake. Your dog requires 18-25% protein in their diet. Fats – Dogs require fatty acids for energy. It also helps canines absorb certain vitamins. Puppies require 8-20% fat in their diet while grown dogs require 5-15%. Fiber – helps your dog feel more full. A diet rich in fiber decreases the amount of dog food needed, which prevents obesity. Carbohydrates – for dogs to maintain optimum health, they should have between 30-70% carbohydrates. As dogs are omnivores, they use carbs as a source of energy. On top of the right ingredients, they also need to be combined in the right way to understand what dog food is good. If they’re not, your dog can still suffer from physical and mental health issues. 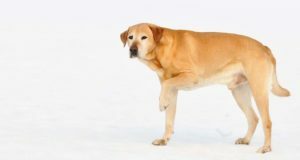 ASK A VET: What’s the Best Dog Food and Diet for Arthritic Dogs? Food allergies from poor quality ingredients can lead to digestive issues. Dogs have been found to be sensitive to wheat and corn, common fillers in low quality dog food. Poor grain-based dog food is contributing to obesity in dogs. Trainers and dog behaviorists stated poor diets cause mental illness in dogs. Dogs with poor diets lack focus and have a poor temperament. Dog food with added coloring are suspected to cause hyperactivity, making it difficult for successful training. Meat – A good quality dog food should include real meat. Find out where the food was manufactured is a huge part of knowing what dog food is good. Avoid buying dog food that was made in China. Do some research on dog food companies that have had recalls in the past. Avoid dog food that includes corn, soy, wheat, grain or flour. Avoid products that contain beet pulp or sugar. Avoid products that contains sauce or sugar.